was sworn into office on December 4, 2007 after being elected to fill the unexpired term of Sheriff Elmer Litchfield. Gautreaux, who began his law enforcement career as a uniform patrol deputy in the East Baton Rouge Parish Sheriff's Office, served as Police Chief of the City of Baker for 27 years before resigning to run for Sheriff. As Baker Police Chief, Gautreaux was elected to office seven times, and was unopposed for the last four terms. Sheriff Gautreaux was elected Sheriff on a platform of focusing priorities on uniform patrol and developing greater communication among local, regional and state law enforcement agencies to help make East Baton Rouge Parish safer. In 2012, Sheriff Sid Gautreaux was elected as Sergeant-At-Arms and Secretary Treasurer for the Louisiana Sheriffs' Association. In June of 2016, Sheriff Gautreaux was elected President of the Louisiana Sheriff's Association. 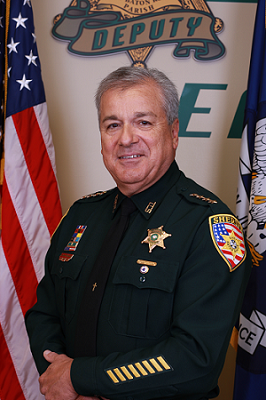 Sheriff Gautreaux is married to Suzi Eckert Gautreaux. They have four children - Will, Chantel, Ben and Ginny - ten grandchildren, and one great grandchild. To view previous East Baton Rouge Sheriffs, please click here.